Shopping is an Adventure in Bolivia. Learn to Bargain at Bolivian Markets. Shopping is a very interesting adventure in Bolivia, a sort of a sport, if you prefer. You have to get to know the ins and outs of purchasing, the where and where-not-to shops, how to convert your currency to bolivianos, and even how to beat vendors at bargaining (and when not to bargain). In Bolivia you can purchase just about any product you’d like; however, you might have to do some searching. Shopping can get quite interesting, or quite exhausting, depending on your perspective. Whereas in the US or elsewhere you might head to the mall where you can buy everything on your list in one place, in Bolivia you’ll need a little guidance. Yes, we have malls, but not many, although this is slowly changing. Malls in Bolivia, which Bolivians call “centros comerciales” (shopping centers) are often simply referred to as "shoppings", as if shopping were a noun... as in "Me voy al shopping" which translates to "I'm going to the shopping". They house a variety of small specialized shops and boutiques including high-end imported clothing, cosmetics, perfumes, and household goods. Some, but not all, have food courts and movie theaters. There are also some large US-style home improvement stores that carry a wide variety of items (mostly imported) such as appliances, tableware, rugs and small furniture, imported toys, lighting fixtures, some hardware, etc. 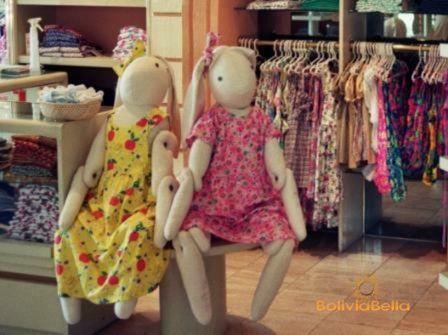 However, most shopping in Bolivia will be done at smaller stores that specialize in a specific line of items, many of which are family-owned and operated. Bolivia does have numerous large, US-style grocery stores complete with delicatessens, clothing and shoes, pharmacies, banks, post office branches, school supplies, small appliances, tableware, and more. They often carry a wide variety of imported foods and some are willing to import specific food items for you, if you speak with management. Most grocery stores have websites. You will not need to attempt to bargain prices at Bolivian grocery stores. Here most items have a fixed price, you can be pretty certain of their origins, and the inventory is rotated on a regular basis, ensuring hygiene and freshness. There are, however, many outdoor markets as well where you can find almost any item under the sun. In the food markets most produce is fresh and brought in several times a week – much of it is also organically grown. You can also find clothing, shoes, leather goods, cosmetics, toiletries, baby items, electronics, gifts, cooking utensils, furniture, household appliances, bedding, tableware, and more.